Valknut - a symbol of Odin - is represented here as impossible figure. It's one of a class of figures named Trefoil Knot. 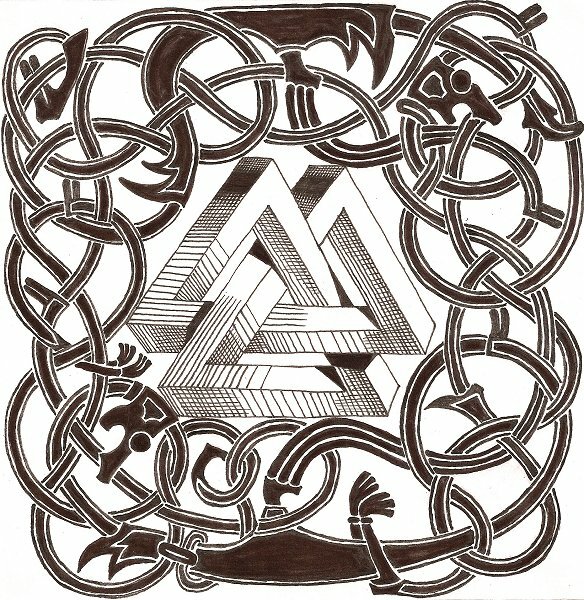 The image was found at http://hjollbert.deviantart.com/art/Penrose-Valknut-190967688.